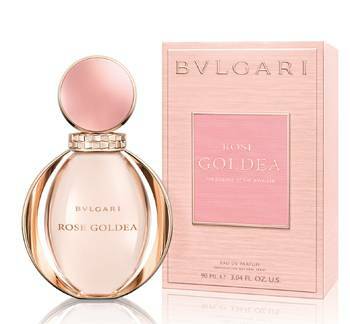 Bulgari unveils Rose Goldea- the new tribute to femininity combining passionate rose and sophisticated musks into a blend of desire. Inspired by the iconic serpent design, Rose Goldea is a bold jewel of seduction. Rose Goldea is in keeping with a strongly seductive perfume tradition, one that evokes pleasure and enchantment. To wear the perfume is a gesture of beauty, an act of love whose messenger is the fragrance. A perfume whose olfactory power reveals the presence of a woman well before the other senses, and which leaves in its wake more than the memory of its passing. It is reminiscent of the beauty rituals of Egyptian women who drench their garments with perfume and wear necklaces threaded from aphrodisiacal, aromatic seeds. Representing eternity and life, the sinewy serpent was cleopatra's iconic ornament that she would wear as a talisman - as a royal symbol of her power - one that was rarely challenged. Its bite is as incisive as the queen's beauty. Emblematically entwined with Rose Goldea, Bulgari's iconic serpenti symbolises the essence of seduction. Rose Goldea's luminous warmth, both delicate and assertive, entwines with Serpenti accents to scale the bottle with the seduction of the snake. Rose is both a perfume and a colour - tender, strong yet reassuring - and so sensual in its sheen. This precious pairing results in Rose Goldea, an Eau de Parfum sculpted for the queens of golds, and the queens among women. In a bath of sensual white musk, Rose Goldea wraps precious Damask rose absolute with jasmine from Egypt. The seductiveness and refinement of white incense has been encased in delicately scented sandalwood. With a brilliant, striking opening that is floral, fruity and fresh all at once, it is joined by a heart of royal flowers - and heightened with the iridescent musk of a woody, powdery finish. The delicate shades of this floral-rose-musk fragrance are revealed in the preciousness of its natural composition: Damask rose absolute, grandiflorum jasmine absolute, and essence of white incense.